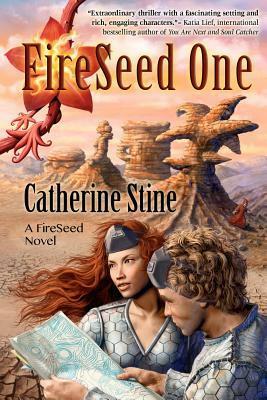 Summary from Goodreads: Fireseed One is a YA futuristic thriller with crossover appeal. Illustrated by the author. The year is 2089. Temperate climate has replaced Arctic ice, and much of what is now the United States is a lethal Hotzone, cut off by an insurmountable border from its northern, luckier neighbors, Ocean and Land Dominion. It is rumored that roving Hotzone nomads will kill for a water pellet or a slice of insect loaf, and that the ZWC, a dangerous Hotzone activist group, has infiltrated the border to the northern Dominions. Up in Ocean Dominion, all eighteen year-old Varik Teitur wants is to party on SnowAngel Island with his friend Audun and flirt with college girls he dreams of joining next year in his quest to become a doctor. Instead, he inherits a vast sea farm, following the death of his father, famous marine biologist Professor Teitur. Five weeks later, ZWC member Marisa Baron breaks into the farm's secret seed vault and a fellow activist poisons the farm's agar crops, the world's food source. In order to save the last agar seedlings Varik is forced to journey to the Hotzone in search of Fireseed, a plant his father supposedly developed with magical hybridization properties. Varik takes Marisa along. Aside from being a terrorist, she's the beautiful daughter of Melvyn Baron, the biggest real estate mogul in Land Dominion, and the professor's old rival. Oddly, she knows lots about Fireseed, and what Hotzone land Professor Teitur bought to test the crop, before becoming embittered and trashing the project. No one except Varik knows whether Fireseed once existed off the drawing board. Might the refugees in Vegas-by-the-Sea have answers, or the bizarre Fireseed cult in the Chihuahua desert? Varik, the reluctant hero, must risk burning in the Hotzone, as his mother did, to save the ailing agar, and the world. I bought this book because I needed to review Ruby's Fire for a blog tour (look for that review tomorrow) and I read that it was a sequel to Fireseed One. 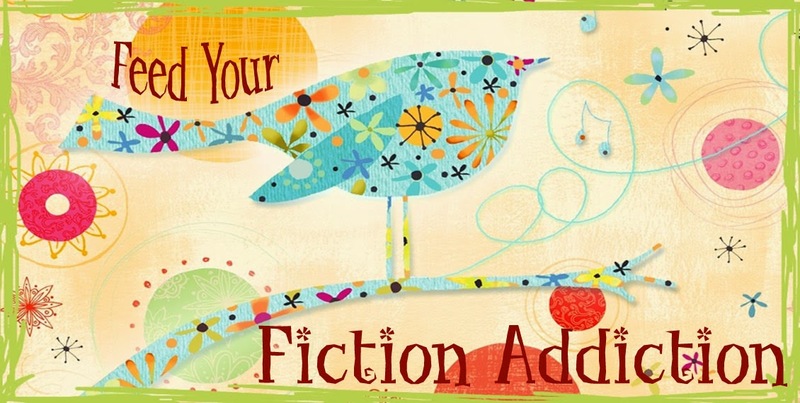 Even though I read that Ruby's Fire could be easily read as a standalone book, I really prefer to read books in a series in order and not skip past books. It's just a hangup I have. I'm glad that I did because I really enjoyed Fireseed One and I felt like it definitely enhanced my reading of Ruby's Fire. I'm not going to describe much about the plot because the synopsis does a pretty good job of that. Instead, I'll just get right to what I did and didn't like. The romance. While I didn't dislike the romance, I just didn't feel like I completely believed it. I never felt the connection between Varik and Marisa and Varik seemed to trust and forgive Marisa just a little too easily. The romance was just a small part of the book, though, so this didn't take away from the book too terribly much. The pacing? It took me a little while to get excited about the plot of this book. For the first third or so of the book, I wasn't super-engaged. I definitely didn't dislike it - I just wasn't jumping up and down, wondering what was going to happen next. I can't exactly tell you why this was - perhaps it was the pacing or perhaps I just wasn't emotionally invested in Varik yet (the book is told from Varik's perspective). Or, it might be that the book felt a little bit more like sci-fi to me than dystopian or fantasy (this was just a feeling - again, something I can't exactly explain - maybe because the world was so foreign that I almost felt like the story was taking place on another planet?). After the first third of the book, though, the plot really picked up for me. The world building. I think this might have been one of the most unique dystopian/fantasy/sci fi type worlds that I've seen. Not only has the climate changed immensely, but those climate changes have changed society in major ways, from the clothes people wear, to the houses they live in, to the foods they eat, to their religions. It felt truly futuristic in many ways. This is not just a dystopian idea bandaged over our version of Earth - it felt like something entirely new. Stine created a very unique, very well-thought-out world that was enchanting. The illustrations. I was so surprised the first time I came across an illustration in the book! I mean, when was the last time you read a YA book with illustrations? The ones in this book were great fun and really helped you to picture this crazy and amazing world that Stine created. They were especially wonderful because Stine did the illustrations herself - so you knew that you were seeing exactly what she was imagining! I only wished there were more of them! The secondary characters. I loved that the secondary characters like Nevada and, especially, Varik's best friend Audun were really fun and well-written. I really enjoyed Fireseed One and would highly recommend it to anyone who appreciates fantastic world building. I would also recommend it to anyone interested in reading Ruby's Fire (which I actually enjoyed even more than this book - watch for my review coming tomorrow!). 3.5/5 Stars.